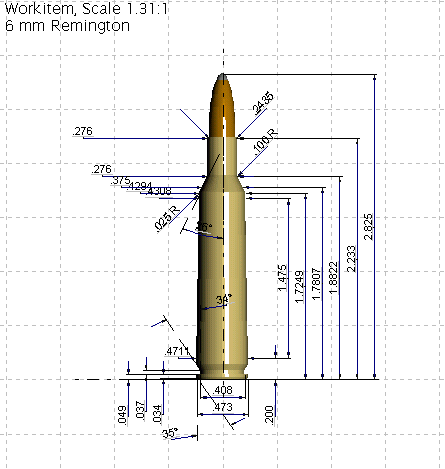 Dimensions in Inches. 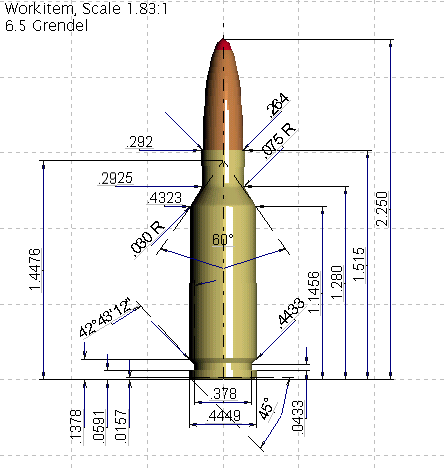 Dotted Grids are 1/2″ square. 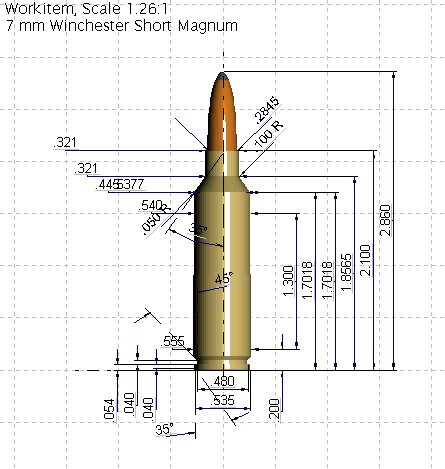 WARNING: Case Diagrams are provided for illustration purposes only. 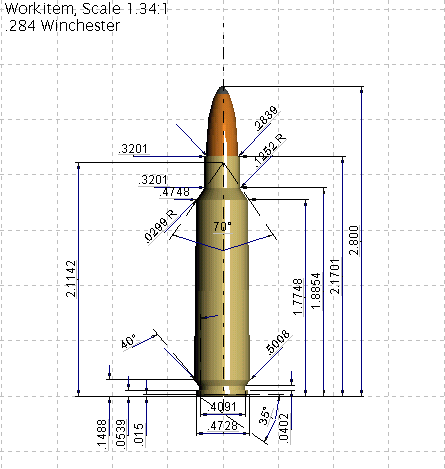 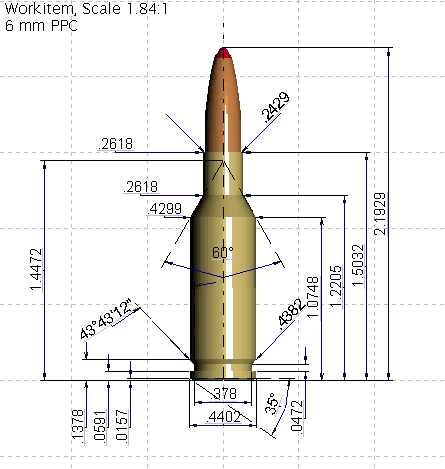 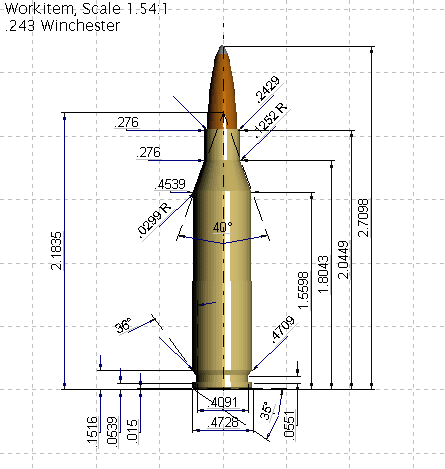 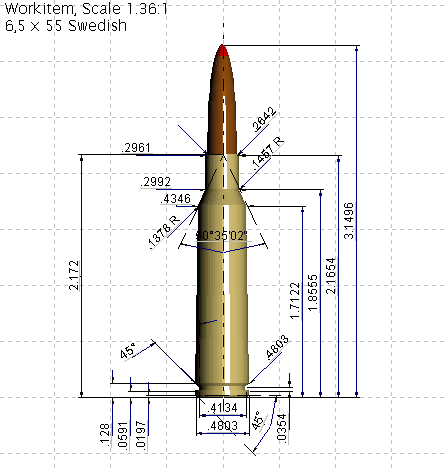 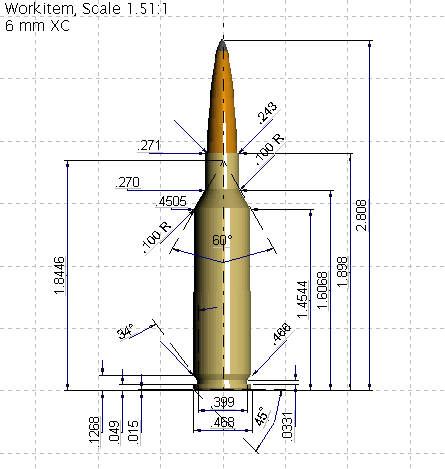 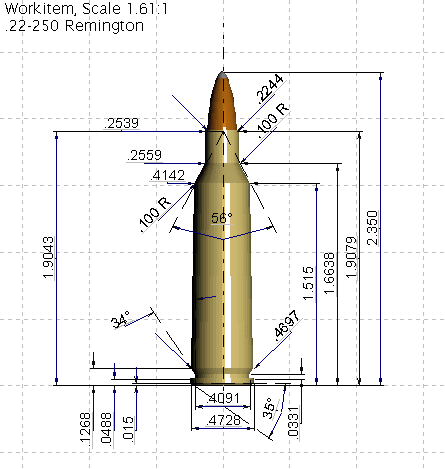 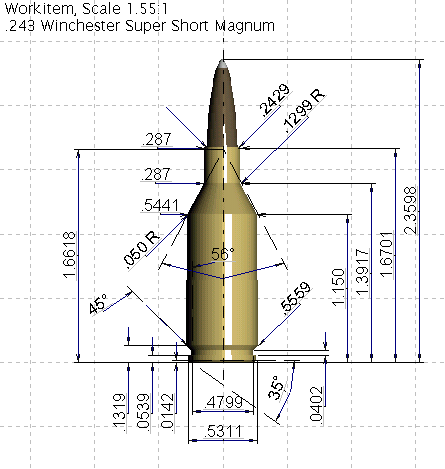 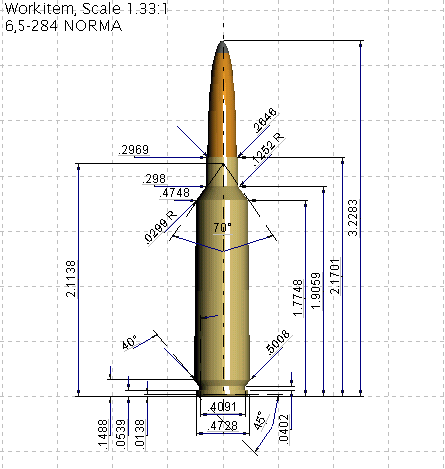 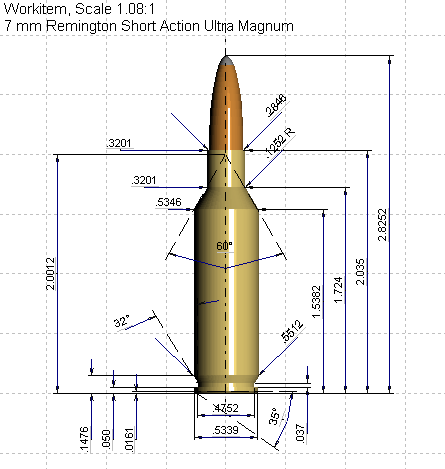 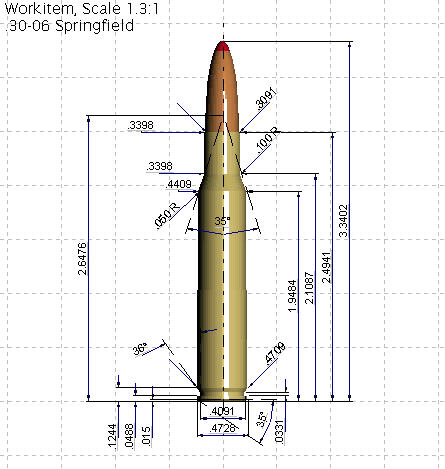 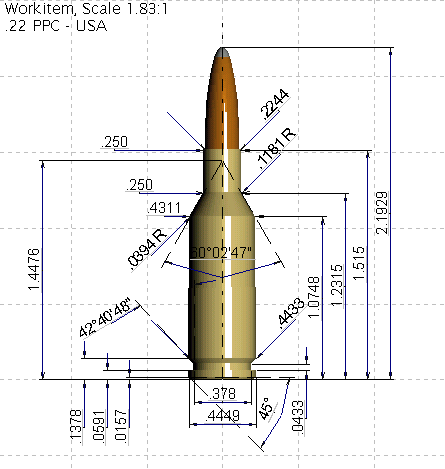 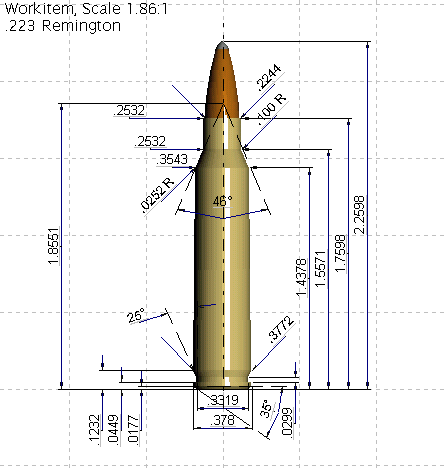 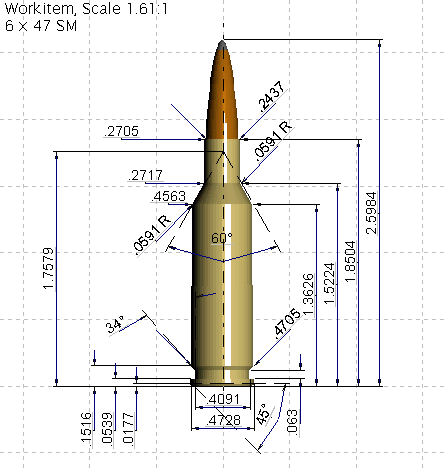 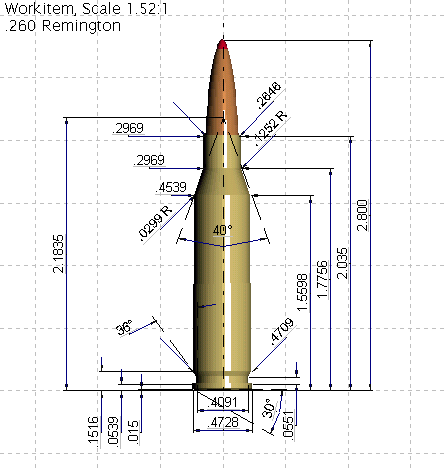 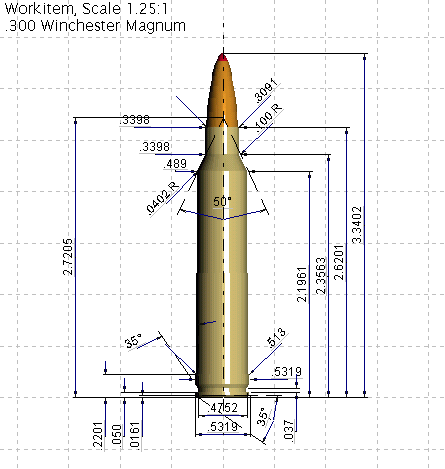 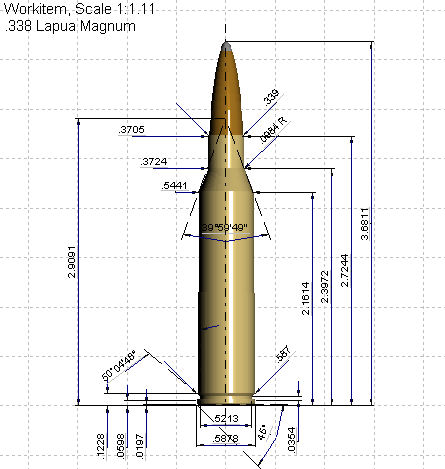 Do NOT use the dimensions on these diagrams to calculate pressures or internal ballistics. 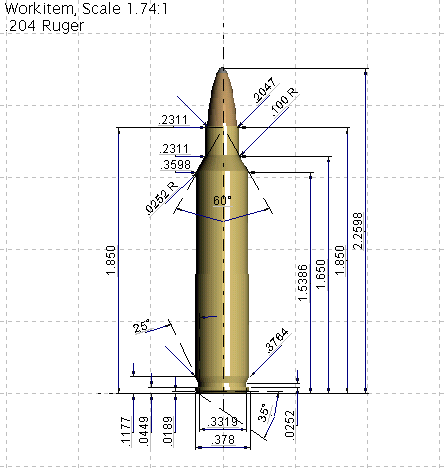 Measure your actual cases and use the data supplied by the cartridge maker and the propellant manufacturer. 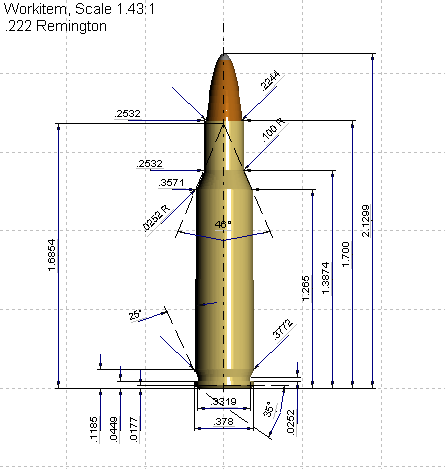 Do NOT substitute these drawings for official SAMMI or CIP specifications.Do NOT use these diagrams as the basis for creating reamers or tools. 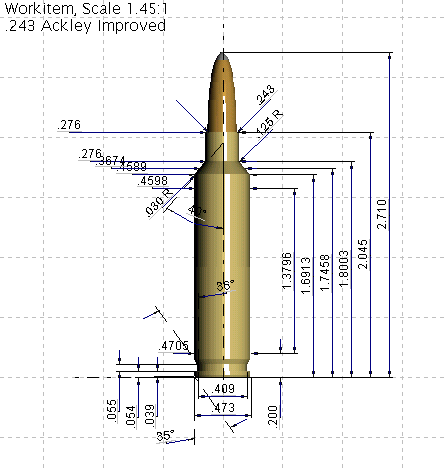 Actual production brass may vary slightly from these measurements. 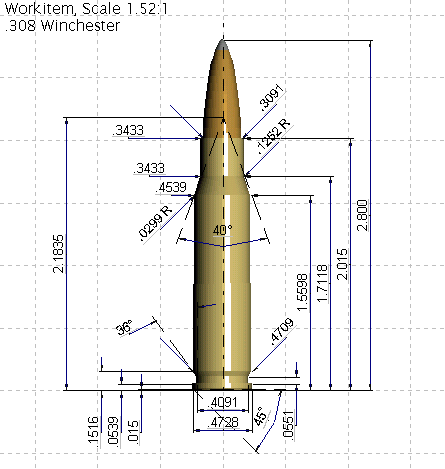 It’s best to send in actual dummy brass cases when having a reamer made. 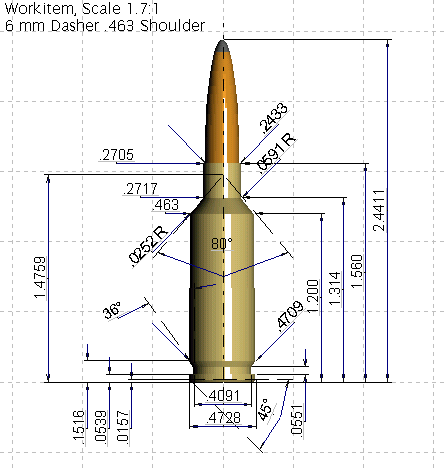 This shows a no-turn neck. 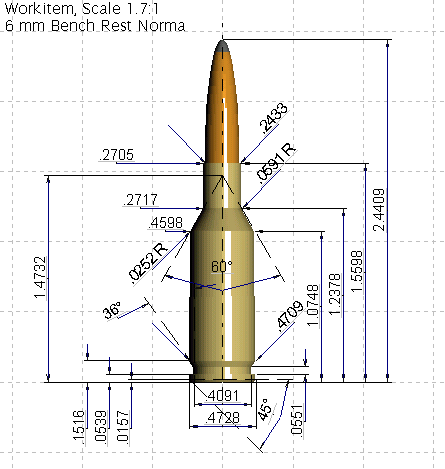 Actual neck length and diameter may vary slightly after fire-forming. 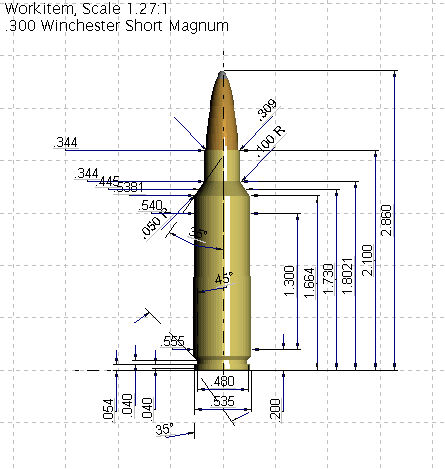 Diagrams generated using QuickDESIGN software program, used with permission. 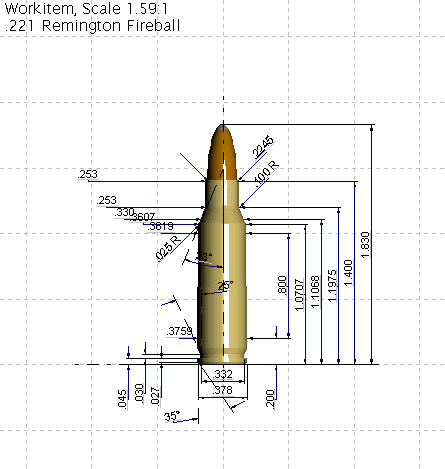 All content Copyright 2010, AccurateShooter.com | 6mmBR.com, All Rights Reserved.